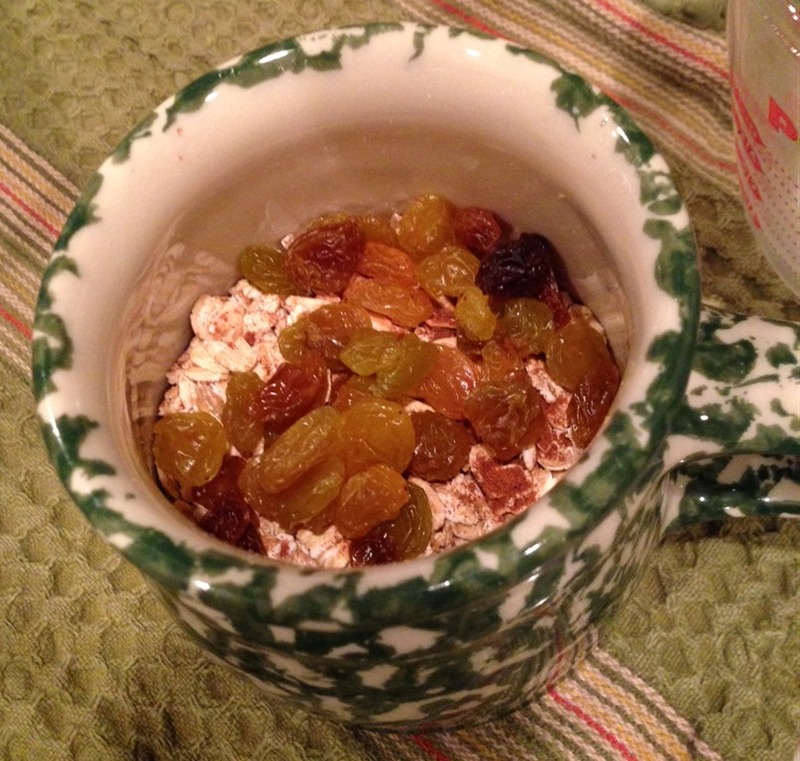 In a microwavable mug, mix together 1 cup of Oats, 1 cup of Vanilla Almond Milk, a sprinkle or two of nutmeg and cinnamon, and a small handful of golden raisins (if you like raisins, that is). Cover and chill overnight in the refrigerator. That’s it!! Literally, seconds of prep and in the morning voilà… a healthy breakfast. 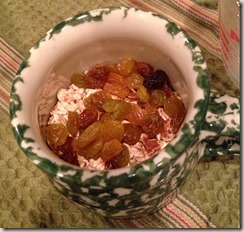 My daughter adds yogurt to her chilled concoction. I prefer my oatmeal warm, so I let the mug come to room temperature, then microwave it for about 30 seconds, just til warm. Then I add some brown sugar and a little cream. Soooo yum!! I think it would be great with nuts or fresh berries too. There’s seriously no excuse to skip breakfast with this super easy recipe. Unless you don’t like oatmeal…then maybe a bowl of Froot Loops is a better option.